When Dr. Mac started college, he was not sure what he wanted to do, so he majored in business. However, one day he felt that God was telling him he was meant to be doing something different, and he knew it was chiropractic. He had been seeing a chiropractor since he was 10 years old to help with lower back and leg problems. Dr. Mac has extensive experience with pediatric chiropractic, and he is very proud that he has utilized this to help his four children feel the best that they can. 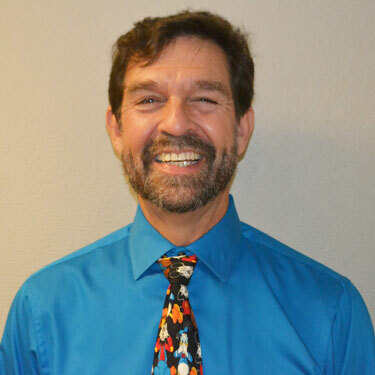 Dr. Mac graduated from Los Angeles College of Chiropractic and began practicing chiropractic in 1988. He always tries to keep up on new research in the field and new scientific discoveries in order to constantly be advancing his knowledge. Dr. Mac specializes in pediatrics and pregnancy chiropractic. He has taken ICPA courses and is Webster certified. Additionally, he is a certified animal chiropractic and is a member of the American Veterinarian Chiropractor Association. He believes this gives him a unique perspective on chiropractic, because animals are not able to tell us what they are feeling, so he had to learn how to connect with them really well, a lesson that he applies in his everyday practice. Dr. Mac is educated in many different adjusting techniques, and he changes his treatment plans to best fit a patient’s needs. Dr. Mac believes that you cannot take a one-size-fits-all approach to chiropractic. Often times, he will utilize a combination of techniques on a patient, in order to deliver the best results possible. When he’s not working, Dr. Mac loves spending time with is wife, Laura, and their seven kids and seven grandchildren. Laura owns a software company, and her office is in the same building as MacDonald Chiropractic. They both love their jobs because they feel like they are always helping people in their community. Make an appointment with Dr. Mac in order to function at your highest level, and lead your fullest life!